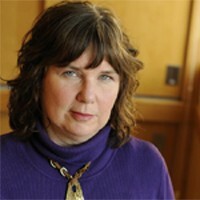 Dr. Janssen is a Professor and Co-lead of the Maternal Child Health Theme. She is funded as a Senior Scholar at the Child and Family Research Institute. She leads Optimal Birth BC, a consortium of clinician-scientists and public health practitioners who undertake both institutional quality improvement initiatives and the development of information resources for childbearing families in BC. She is the founder of SmartMom, a prenatal education program delivered by text messaging. Her research interests include prediction of cesarean birth among healthy women, diagnosis and management of dystocia, management of early labour, and outcomes and costs associated with differing models of maternity care delivery . She has developed a number of predictive and assessment tools for use in pregnancy including race/ethnicity-specific standards for intrauterine growth.